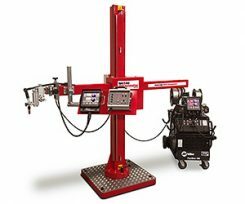 We are pleased to announce the launch of a new product in our weld automation category. 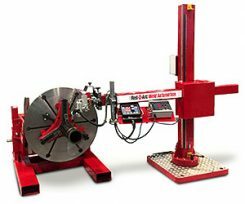 Red-D-Arc now offers adjustable pipe stands with a carrying capacity of up to 4 tons, in both low and high profile versions. 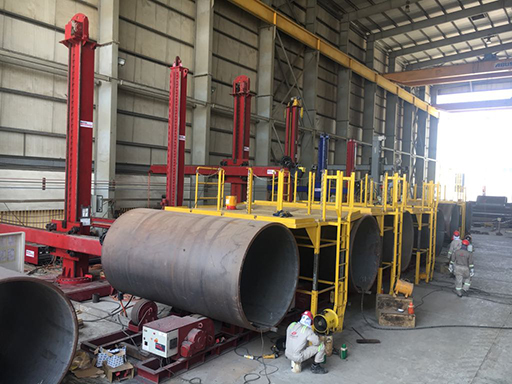 Combined with our turning rolls and positioners, these stands offer an effective solution for supporting pipes during the welding process for both manual and automated applications. Our pipe stands feature polyurethane rollers and have been fully UL and CE tested. 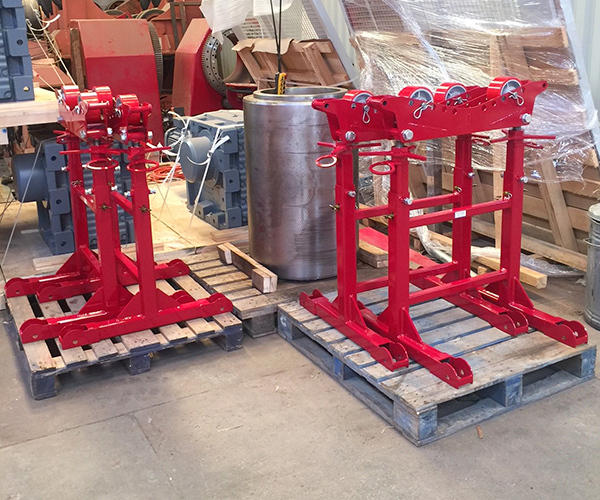 All of Red-D-Arc’s weld automation equipment has had its weight capacity UL verified to ensure safety and quality. 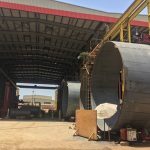 This is a first in the weld automation industry. 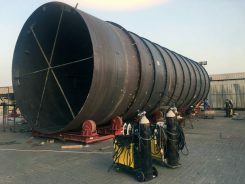 They reached out to Red-D-Arc to find a faster and more efficient way to produce these vessels. 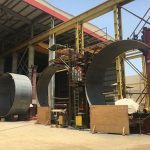 After discussions with Red-D-Arc the fabricator decided to purchase a turnkey submerged arc system. The custom designed system came complete with a small I.D. 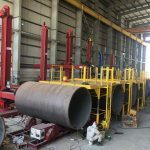 sub arc welding head mounted on a 9’x9′ manipulator, flux recovery system, NA5R automatic wire feeder, DC600 multi-process welderand 5 ton turning rolls. 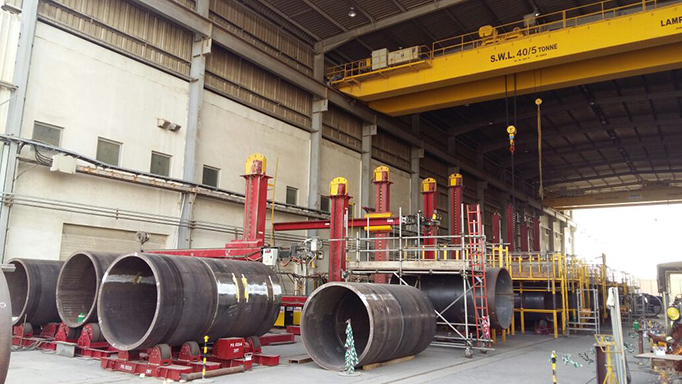 The system also included a laser and camera for precise control and monitoring of the submerged arc welding process. 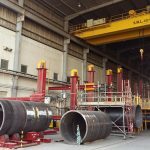 Red-D-Arc has launched an exciting new product that is designed to increase the productivity and efficiency of pipe welding. 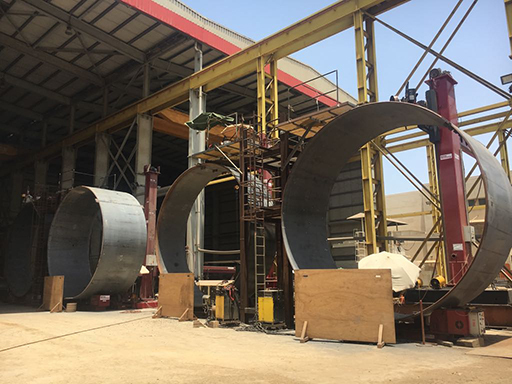 The Red-D-Arc Process Pipe Cell with oscillating welding torch is a dual wire feeder, multi-process welding cell. The system is easy to set up and operate. 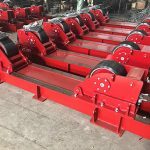 It reduces weld operator errors, reduces welding time, and increases deposition rates, productivity and arc-on time. 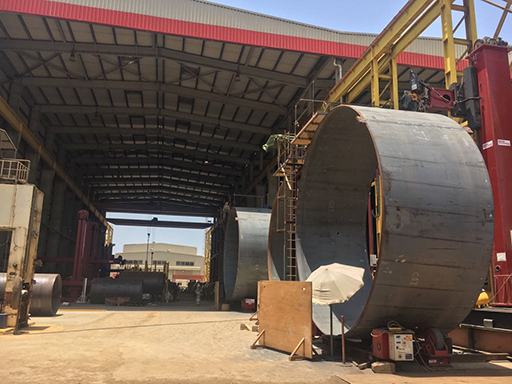 A variety of welding power sources and wire feeders can be used with the system including Miller RMD PipeWorx 400 and Lincoln STT S350, S500 and S700 Power Wave systems, with all welding functions controlled via a remote interface. 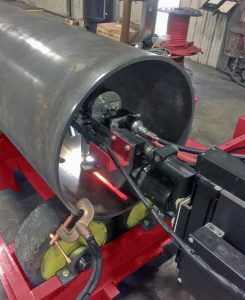 Root passes can be performed manually with solid wire using either RMD or STT technology (instead of manual GTAW or SMAW) followed up by hot passes and cap passes either solid-wire or flux-cored) with the jammer-style weld oscillator. 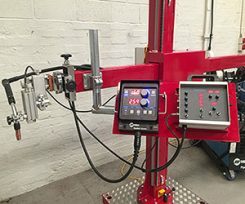 Choose the welding positioner, welding chuck, turning roll set or headstock to suit your specific needs. 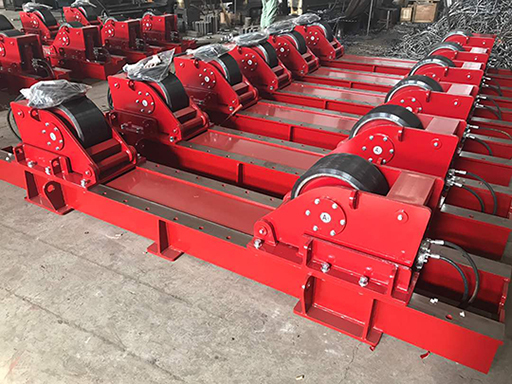 All positioning functions including welding head manipulator, oscillator, welding positioner and turning rolls are managed via a single control.